We provide exceptional customer service in a comfortable, relaxed environment. Our office of Dr. Sony Thomas, Jennifer, Terra, Melissa and Monica are known for their commitment to excellence. Together, our commitment to you is that you receive the best care that is possible today. 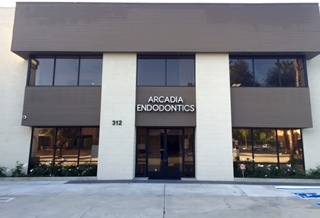 Dr. Thomas received both his dental degree and advanced training in Endodontics from Loma Linda University. Dr. Thomas is currently board-eligible and is in the process of obtaining his board certification with the American Board of Endodontics. He has been in practice since 1998. If you would like to schedule an appointment or have any questions, you are now able to contact us via text, simply text our landline (626)446-8889. To utilize any SMS Texting (including text notification deliveries), standard data fees and text messaging rates may apply based on your plan with your mobile carriers.